Stayed at the Pacula’s over the July 4th weekend. Fished the Truckee near Hirschdale with Matt K. & Joe. Water was flowing at 2000cc which is apparently 3x standard at this time of year. Same water story all over the west. 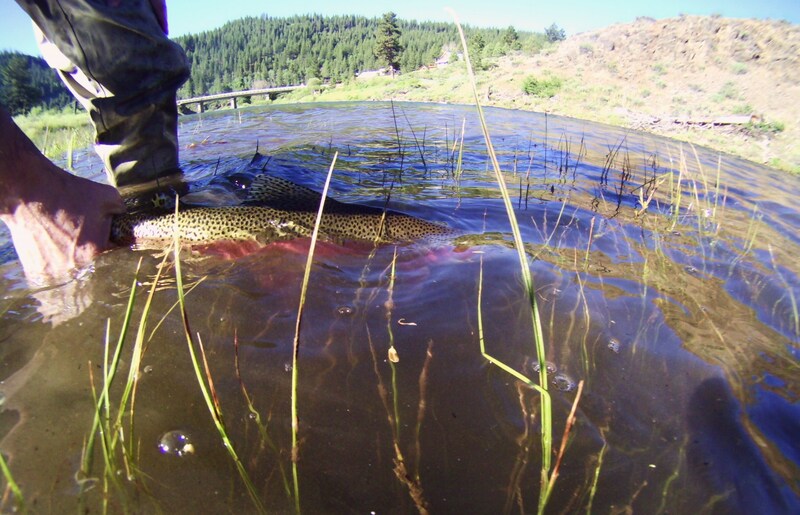 After having fished the Truckee a few times over the past few years without any local intelligence, we thought it would help to bring in a pro. 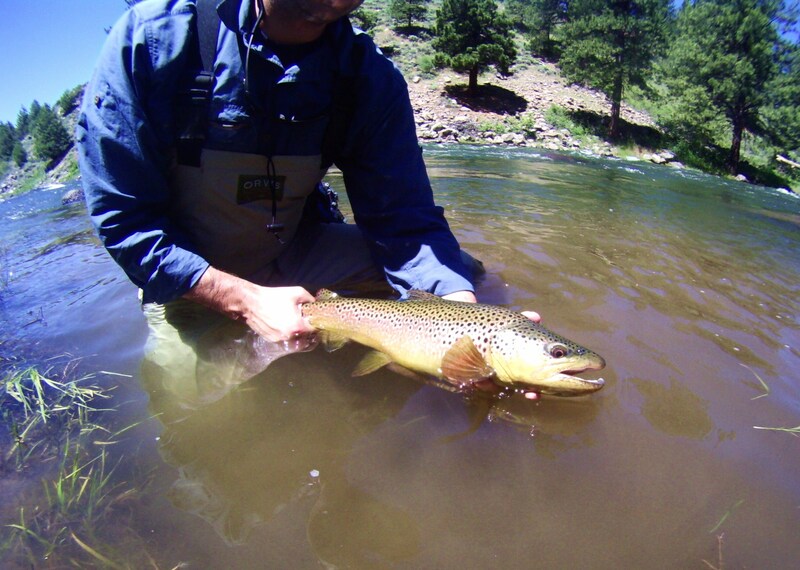 So we hooked up with Matt Coles – http://gilligansguideservice.com/blog and it was a good move. He put us on fish and I will call him again. Hopefully, later this summer. Stonefly nymph & a caddis dropper in the morning picked up this rainbow. I fished most of the day by myself. At the end of the day, Matt told me he would take me to a hard to reach slot that would be holding a fish. We walked upstream a bit and he pointed it out. 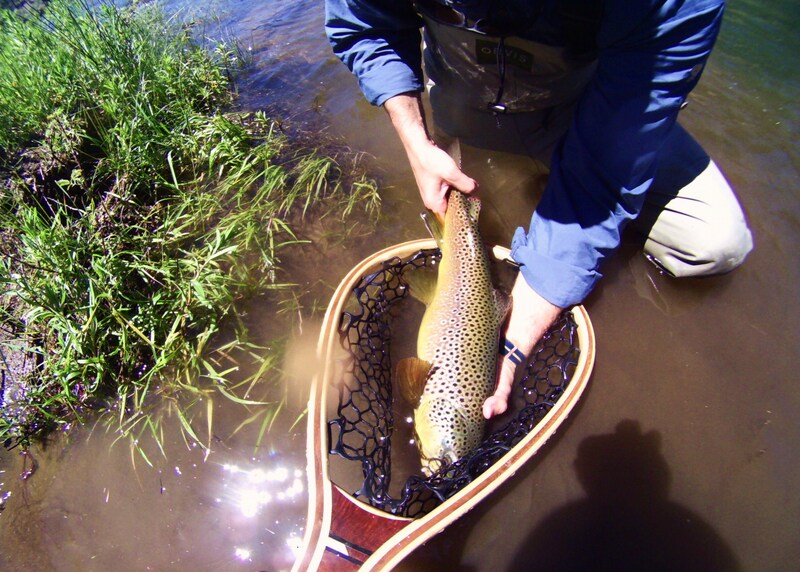 This great brown took the prince dropper. I didn’t measure it, but it was well over 20 inches and might have been the best of my career.